Get Directions to Our Shop and Recieve a FREE Paintless Dent Repair (PDR) Estimation! Paintless Dent Repair (PDR) is an innovative process for repairs at a fraction of the cost. Hail Damage, Minor Dings, and Dents will be less than conventional body work. Five Star Hail offers Paintless Dent Repair. At Five Star Hail, we specialize in PDR or Paintless Dent Repair for Colorado Springs and the surrounding areas. 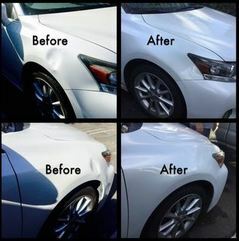 This method of Dent Repair is a way of removing creases, small dents, and dings. 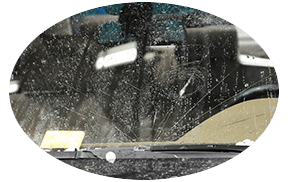 Using specialized tools, and a skilled and certified technician, we will remove your dents, Dings, and Hail Damage to where it's looking new again. Our technicians at Five Star Hail will provide meticulous service and spend the suitable amount of time so we can correctly complete any job. Jake, our owner, is a master technician with over 10 years of experience Specializing in Hail Damage. Jake believes in providing the best technicians, customer service, and job quality to all of his customers. Five Star Hail is the shop you need to go to for Paintless Dent Repair in Colorado Springs. Our residents trust us, and so should you! Five Star Hail has a lengthy and successful record of auto dent repair. 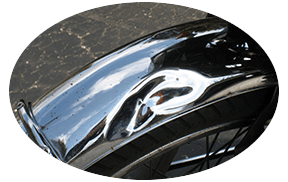 Using our Paintless Dent Repair technique is our specialty! It's always part of our Automobile Restoration process! This is the most affordable, yet highly effective method for Auto Dent Removal. From just a few Dents and Dings... To hundreds of Dents and Dings (typically this is caused by severe Devastating Hail Storms...). Five Star Hail will restore your vehicle, even to the pre-damaged state! This is all done without disturbing the vehicles original factory paint finish! Our highly skilled, Paintless Dent Repair Technicians, can remove all of those unsightly Door Dings and Minor Dents from your automobile. All while maintaining it's original factory finish. Our PDR method allows for a Paintless Dent Repair process that you can only find here in Colorado Springs, CO. Using no fillers, painting, or sanding, this allows for increased vehicle resale value and minimum repair time. ​Has your vehicle been damaged in a hail storm? If so, Five Star Hail has a streamlined Auto Hail Repair process that minimizes any stress or headaches you are feeling during this hectic time. Our vehicles are one of the top household expenses and we love our cars. When our car or truck gets caught in the middle of a Hail Storm, we feel helpless as we watch the damage occurring. The Auto Hail Repair Specialists at Five Star Hail understand and are here to assist. ​Since our prices are considerably less traditional body shop repairs, we can save you hundreds of dollars over conventional body shop repairs in Colorado Springs, CO. Typically a Paintless Dent Repair repair can be done at a fraction of the cost of your traditional body shop repairs. 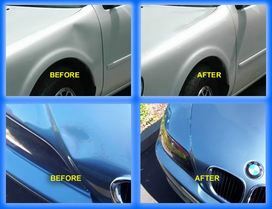 Fast Paintless Dent Repair Service. ​Five Star Hail has proven technique that removes typical Small Dents quickly. Unlike conventional types of auto body repair, using this process, there's NO possibility of Shrinkage... Cracking... Sanding lines... or paint texture differences... Plus it's permanent! ​If you have lived in Colorado you probably have experienced Hail Damage at some point, but you may not know the benefits of PDR. If you have ever had a Dent or Ding on your vehicle, you know just how aggravating it can be. A single, Small Dent, or Ding on a vehicle door, will not affect how the vehicle performs mechanically, but will likely drive you crazy every time you see it. Additionally, only having a few Small Dents or Dings is often not enough damage to warrant an insurance claim. This method is as close as you can get to never having a Dent in the first place. So unlike most conventional repairs, with us, you won't experience some of the same problems, such as fillers or paint shrinkage. Usually, these appear months after the repair. Once the repair is made, it does not come back! Using the PDR method will also help maintain the resell value of your vehicle. 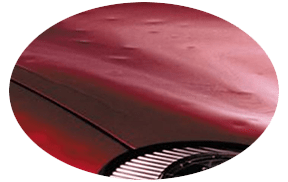 Shallow creases and horizontal imperfections, Parking lot door dings, Shopping cart dents, Depressions caused by objects falling on a vehicle, Dents in the hood or truck usually caused by pushing down too hard while closing, Indentations from balls or other thrown objects, Outward dents typically caused by objects shifting in the trunk or even by closing the trunk on tall cargo, Other common forms of minor body damage, Stop by our shop for Affordable and Fast Dent Repair Services here in Colorado Springs. Our residents count on us, and so should you! We are conveniently located here in the Springs at 4620 Austin Bluffs Pkwy. Call us TODAY for a FREE ESTIMATE at (719)260-2338. ​If you have any questions about your insurance claims please check out our FAQ page. Here at Five Star Hail in Colorado Springs, we already handle insurrance claims every day for most all of our customers and we strive to make this process very easy for you. Simply drop off your vehicle then we can take care of all of your Paintless Dent Repairs here at our shop in Colorado Springs. Now all major insurance companies are endorsing this process for Automobile Hail Damage.